About Garry D. Message Garry D.
Gary is an absolutely excellent guide and a delightful person besides. 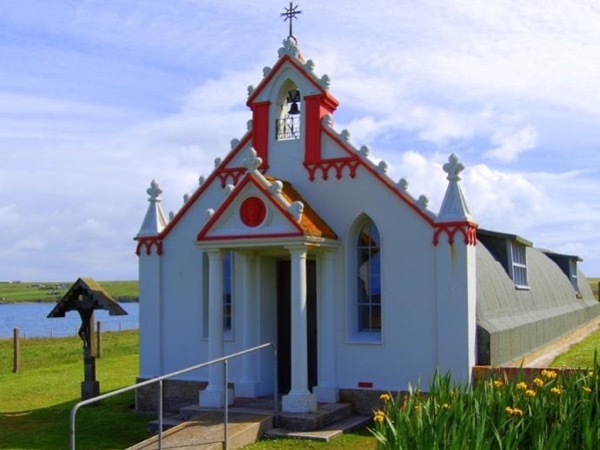 He is knowledgeable, patient, and funny, and clearly loves the beauty and history of Orkney. We recommend him enthusiastically! TOUR GUIDE RESPONSE: Glad you all had a great day out and I hope you enjoy the rest of your holiday around Scotland. TOUR GUIDE RESPONSE: Thank you very much for your lovely review. I really enjoyed spending the day with you both and hope you have an excellent cruise. We had a great time with Garry while in Orkney! He was very easy to get along and joke with, and we were able to see more than we imagined in the time we were together. Both my husband and I agreed that our tour with Garry was well worth it. Garry was terrific. He took us to so many interesting places and was very knowledgeable and eager to share his country with us. It was a great day!!! Garry was an excellent guide for our visit to Orkney Isle. He was very knowledgeable and obviously loved his homeland. Our day could not have been more special ,and Garry helped make it one of our favorite stops on our two week cruise. TOUR GUIDE RESPONSE: Thank you Susan for your kind words. Orkney is a special place and we got some stunning weather also. Hope you enjoy the rest of your cruise. Wish I could give Garry D. a 10 star rating!!! Garry was amazing and bent over backwards to make our tour of Orkney such a wonderful, educational and memorable adventure for our whole family)!! This was our first time doing a TBL tour and we could not have been happier with our experience. I would VERY HIGHLY recommend Garry D. to anyone wanting a very memorable, custom tailored and complete Orkney Experience. It is a wonderous and beautiful place - we'll definitely go back someday! Cheers! Garry was a great guide. We saw so much and everything was explained very well. We highly recommend him. What a wonderful, unexpected gem Kirkwall was. TOUR GUIDE RESPONSE: Thank you for your kind words Ronald. I'm really happy that you enjoyed your stop in Orkney. Garry was extremely helpful in planning our one day stop in Orkney. We discussed via emails places to visit and he prepared a suggested itinerary. He picked us up promptly from the pier with a comfortable private van for the 10 of us. Garry was very knowledgeable and easy to listen to about each ancient cite and adjusted our tour stops to accommodate us and the crowds. We were able to see many amazing things including a rare citing of a puffin bird in it's nest! We definitely recommend using Garry!!! Garry was the quintessential tour guide. He helped us plan our Orkney visit, preparing an agenda of sites to see for our review before our trip. Gary met us at the ferry and off we went for a day of great sites that went by in a flash. 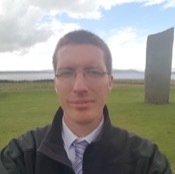 Garry has excellent local knowledge and provided entertaining stories throughout the day, seeing a wide variety of Orkney's finest sites. Our agenda was followed with flexibility and we never felt rushed. We've given Garry the highest rating for his tour guide service. TOUR GUIDE RESPONSE: Thank you for your very kind words and I am very glad that you enjoyed your day. I very much enjoyed my day with you and glad that you got so much out of it.